The hosts hold a 4-2 record in Group E in the Top 16 and this is enough to see them clear in second place behind the runaway leaders. Things aren’t quite as pleasant for Darussafaka, who are last in the group with a 1-5 record. The form book is pretty clear in this game but there is still a job to do for Lokomotiv. 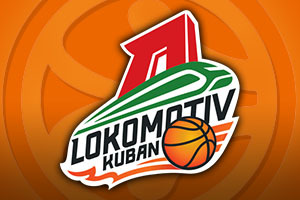 Lokomotiv come into this game on the back of a second win on the road in the Top 16 and they’ll be looking to consolidate their place near the top of the group. The team from Krasnodar have built their success on a very strong defensive unit, and they will make it every tough for any opponent. They have given up an average of 70.7 points per game, which is the lowest in the league but for home games, this falls to 65.3 points per game. If Lokomotiv maintain their defensive form, you have to think that they’ll be in with a great chance of success. 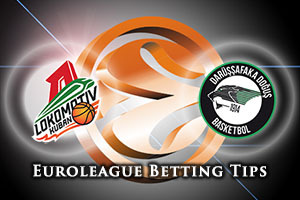 Can Darussafaka grab their first Top 16 away win? After having grabbed their first ever win in the Top 16, the challenge is for the Istanbul side to grab their first ever win on the road in the Top 16. It’ll be a tough challenge but you have to have something to aim for and if the veteran squad can utilise their experience, it may not be beyond the realms of possibility. Semih Erden has been very impressive in the Top 16 for the Turkish side and players like Jamon Gordon and Luke Harangody have also shown plenty of promise. It could be a long night for Darussafaka but this is a game they need to enter with confidence. The hosts should wrap this game up convincingly and you can take Lokomotiv Kuban Krasnodar at -11 with odds of 1.90. For the Over/Under market for this game, you should be looking to go UNDER 149.5, which you can find at odds of 1.90. You have to think about the strong defensive showing by Lokomotiv at home, and the Istanbul side may struggle to get points on the board. Bet Now!